Welcome to Wayne Foot Specialists! You can depend on us for caring and comprehensive family foot care. Choosing a doctor is one of the most important health decisions you can make. You want a practitioner who is caring, knowledgeable, and accessible. Someone willing to take the time to go over all of your options and treat you as a person, not just a patient. We pride ourselves on our patient service at Wayne Foot Specialists. We offer a knowledgeable staff, as well as safe and proven procedures. 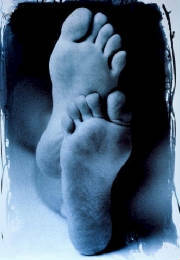 We will do our very best to help you with your foot health and care questions. We've created this web site for both new and established patients. It includes specific information about our practice along with general wellness information. Home care is available by special appointment. If you need more information, please don't hesitate to contact us by phone or use the message box below.